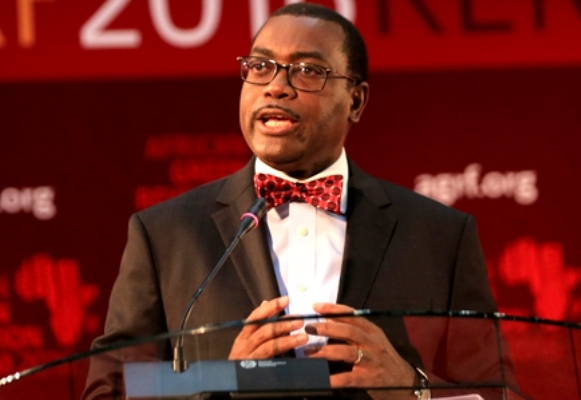 The African Development Bank (AfDB) says it trained no fewer than 733 people in Nigeria on increased use of technology in agriculture in the country. The bank revealed this in its 2017 Annual Development Effectiveness Review report on Thursday in Abidjan. It said that the training was part of the Feed Africa project (2016-2025) under the high five priority projects of the bank. According to the report, the bank interventions in agriculture over the last year has benefited 5.6 million people. “Our feed Africa Strategy (2016-2025) is designed to eliminate extreme poverty, end hunger and malnutrition; make Africa a net food exporter. “Also, it will move Africa to the top of certain agriculture based, export-oriented global value chains in areas in which it enjoys a comparative advantage. It added that the bank met its target in assisting 597,900 people to increase their use of technology. “In Nigeria, we trained 733 people and provided irrigation pumps and agro processing equipment. The Report further noted that the bank supported improved water management practices on 37,600 hectares. It added there was increase in yields of a wide range of crops through the assistance to agricultural research networks, training around 17,000 research and extension staff. This, it said benefited an estimated 698,000 farmers. How are you keeping love alive in your relationship?